Catherine Johns - Power. Presence. Profits. Looking For a Speaker Who Will Make Your Event Sizzle? Catherine gets rave reviews. Her audience gets real results. Does Your Personal Presence Command Attention and Respect? People make up their minds about you in seconds. They respond to your Presence: what they see, what they hear, and how they feel when they’re with you. Change the way you’re perceived and change everything. Ready to get started? Schedule a complimentary Command, Connect, Cash In session NOW. 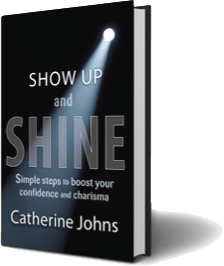 Catherine Johns is not only elegant and humorous; her evidence-based Show Up and Shine techniques are extremely insightful. Body position, head tipping, hair flipping… these are all things that, as women, we need to be mindful of when in professional company. Catherine takes this a step further to show us how, with little effort, we cannot only show up with confidence, we can project a little testosterone of our own into the room…and still be as feminine as ever. Our gals are still commenting on the difference it’s made in how they are perceived. 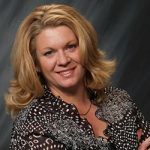 Catherine Johns is not only elegant and humorous; her evidence-based Show Up and Shine techniques are extremely insightful. Body position, head tipping, hair flipping… these are all things that, as women, we need to be mindful of when in professional company. Catherine takes this a step further to show us how, with little effort, we cannot only show up with confidence, we can project a little testosterone of our own into the room…and still be as feminine as ever. Our gals are still commenting on the difference it’s made in how they are perceived. Catherine is like one of those good summer storms that comes right when it’s gotten too hot. She lands on stage, cools everyone off, refreshes, rehydrates, and makes everyone feel just a bit better about themselves, the world, and their plans. Not many people can have that kind of gentle power that gets you to take action without feeling the strain - she does. And that is rare. She lands on stage, cools everyone off, refreshes, rehydrates, and makes everyone feel just a bit better about themselves, the world, and their plans. Not many people can have that kind of gentle power that gets you to take action without feeling the strain - she does. And that is rare. Within 5 minutes of seeing Catherine on stage I knew … she was the real deal! I can still feel her absolute command, confidence and charisma. In fact she is the ONLY one of the scores of speakers who shared the stage that day that I remember. You simply can't put a dollar value on what it would mean to have her guide you to your own powerful, impactful presentation presence. Because when you can stand out in a sea of pretenders and wanna-be's, it’s the closest thing to cashing a massive check every time you step on stage. If you're looking for someone to help you create a dynamite stage presence that translates directly to profits, you want to make Catherine your FIRST call. I can still feel her absolute command, confidence and charisma. In fact she is the ONLY one of the scores of speakers who shared the stage that day that I remember. You simply can't put a dollar value on what it would mean to have her guide you to your own powerful, impactful presentation presence. Because when you can stand out in a sea of pretenders and wanna-be's, it’s the closest thing to cashing a massive check every time you step on stage. If you're looking for someone to help you create a dynamite stage presence that translates directly to profits, you want to make Catherine your FIRST call. Catherine completely wows me every time I see her work. She has presence, poise and power from the stage and can teach you to have those things as well. I am a good speaker, but there were times when I lost my confidence or made little mistakes that got in the way of conversion. I reached out to Catherine to take my talks from ‘good’ to ‘freaking awesome.’ The breakthrough was learning that I really needed to feel grounded in myself when speaking. Taking a moment and centering myself. Being comfortable in my body so that my words and my movements were in alignment. It was shocking how often I would say one thing while my body said another. I can’t even begin to think about the impact that it likely had. Now I take the stage more confidently than ever before, and I sell with confidence. I also know how to re-center myself if I get off track. That’s powerful and the impact goes well beyond the stage. I see now how my sales calls (yes, even when I’m on the phone) or talks with my team are impacted by my presence. I am a good speaker, but there were times when I lost my confidence or made little mistakes that got in the way of conversion. I reached out to Catherine to take my talks from ‘good’ to ‘freaking awesome.’ The breakthrough was learning that I really needed to feel grounded in myself when speaking. Taking a moment and centering myself. Being comfortable in my body so that my words and my movements were in alignment. It was shocking how often I would say one thing while my body said another. I can’t even begin to think about the impact that it likely had. Now I take the stage more confidently than ever before, and I sell with confidence. I also know how to re-center myself if I get off track. That’s powerful and the impact goes well beyond the stage. I see now how my sales calls (yes, even when I’m on the phone) or talks with my team are impacted by my presence.